SMS in present scenario not only used to communicate with personal relation but also send to the business customers for real-time communication. Send SMS opened various new arenas for mass communication using mobile phone. By the electronic technological revolution common availability of mobile phones among huge population. Sending bulk SMS is a solution to approach masses at measly cost. 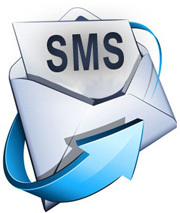 We provide various kinds of SMS solutions. We offer our services to provide internet based bulk SMS sending. There are different tariff to purchase SMS. Our expert team of engineers also integrates the SMS to the software. Business industries want to reply their customers through short messaging service. We provide Short Code Service for the purpose. Our bulk SMS software is flexible and customized software through which you can connect with your customers by sending SMS in bulk to all. Now you are just a single click far from your customers.